Robert Cialdini always finds himself persuaded into things he doesn't want to do. So, he dedicated his life to studying the power of Influence. It’s been a long day. You’ve just gotten off work but you need to pick up some groceries on your way home. You’re approaching the store when you see it: A Girl Scout cookie table. Before you know it, those charming and business-savvy young girls have persuaded you out of your grocery money before you can even open your mouth. Psychology professor Robert Cialdini has a lifetime’s worth of similar experiences. A self-described softy, Cialdini wondered what persuades people into compliance, even when they don’t want to do something. His investigations led him to the eventual writing of Influence: The Psychology of Persuasion. 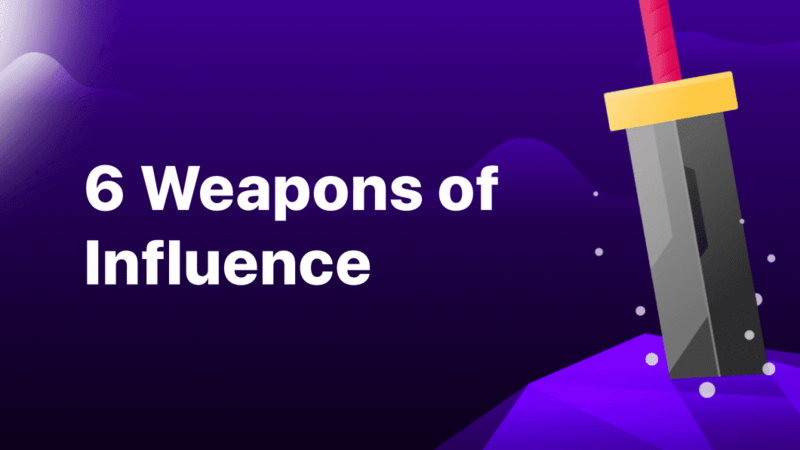 He outlines six “weapons of influence” people use to persuade others, many of which Fabulous employs to help you make healthy lifestyle changes. Persuasion is a core part of behavior change; after all, you’re unlikely to make changes if you’re not convinced doing so matters! While persuasion is not in itself a bad thing, knowing the mechanisms behind it can also keep you from being talked into doing things that aren’t necessarily in your best interest, like blowing your food budget on Thin Mints and Thanks-A-Lots. Everybody likes consistency. Your favorite coffee shop would probably not be your favorite if the qualities of your daily latte were inconsistent. Consistency is stable and reassuring. People value consistency in their work and home lives but, more importantly, they value it in their beliefs and behaviors. Tapping into this drive for consistency can help you build healthy habits over time. All it takes is a commitment. Even a small commitment can begin to alter your perception of who you are. When Fabulous teaches you to drink a glass of water each morning, it’s planting the seed of belief inside you: the belief that you’re a person with healthy habits. Once you start meeting your Fabulous goals, you start to develop and accept that belief as reality. Wanting to stay consistent with who you are, you’ll start seeking out other healthy habits, such as having a great breakfast or exercising each day. 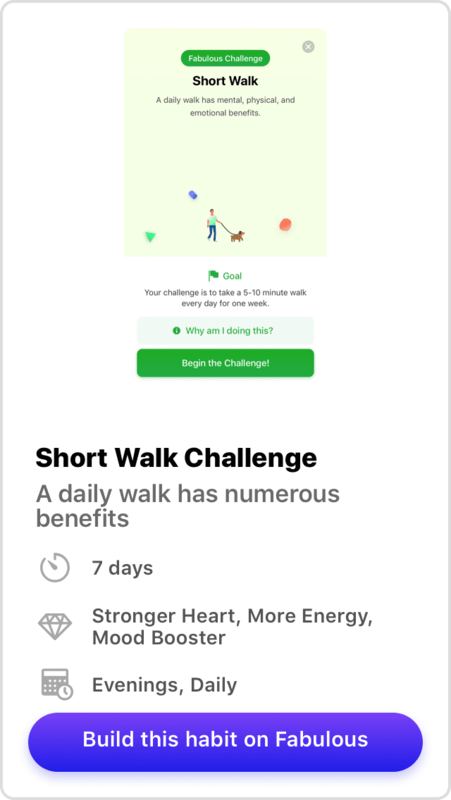 Let’s start this off easy by taking the Fabulous daily walk challenge. It doesn’t have to be long; 5-10 minutes is good enough to repeat the mental and physical benefits. Before you know it, a healthy lifestyle is not just what you want. It’s who you are! Have you ever done something for someone you didn’t even like because you felt like you owed them? It turns out that you’re hard-wired to reciprocate favors from others. Reciprocity is a weapon of influence employed by everyone from politicians to practitioners of the Hare Krishna faith, who give flowers to people before requesting donations. This feeling of indebtedness is so deeply ingrained in you that it doesn’t even matter if you didn’t want or need the favor in the first place. If someone does something nice for you, you automatically feel obligated to reciprocate, no matter the circumstances. If you don’t reciprocate, you’ll likely feel guilty, but you may also risk outright ostracization from others. This is because humans are a highly interdependent species. If one member of the group is thought to not be carrying their own weight, they put the survival of the whole group at risk. You can use this principle to your advantage. 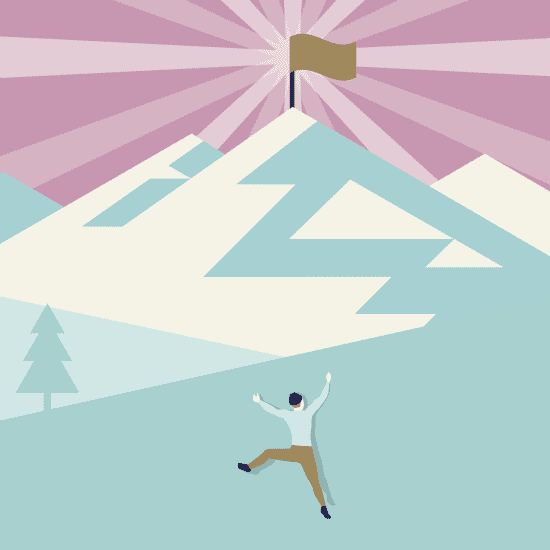 If you feel like completing your daily Fabulous habits is a struggle, consider treating yourself beforehand as a “favor.” You might feel more obligated to complete your rituals if you feel indebted to do so! Have you ever heard of the Bystander Effect? It’s a social psychological phenomenon where people are less likely to help someone in trouble if there are other people around. The more people around, the less likely someone will step up and assist. The unfortunate murder of Kitty Genovese in 1964 is an often-cited example of this effect. Simply put, people will copy other people when they don’t know what to do. A more light-hearted example of this is a famous stunt pulled on a 1962 episode of “Candid Camera.” In the stunt, called “Face the Rear,” actors walked onto an elevator with an unknowing stranger, deliberately facing the rear of the elevator instead of the door. Pressured to conform, strangers quickly follow suit, following the crowd regardless of how odd it appears. Cialdini calls this the “Social Proof” principle. If you see other people doing it, then it must be right… right? Try testing this out at home. If other people see you eating healthy and exercising, maybe they’ll follow your lead! We mentioned earlier that because of the principle of reciprocity, you don’t even have to like a person to feel indebted to them when they do you a favor. However, liking the person in question can make it even harder to say no when approached for something. This makes sense with people you already know, like friends and family. But even total strangers can use this trick to make you comply with their wishes! The key here is that liking someone is not the same thing as knowing them. If I asked you to name a celebrity you liked, you’d probably have no problem thinking of someone. But you likely don’t know that person any better than they know you! Salespeople use this weapon all the time. They up their likeability factor by finding things you have in common and treating you kindly. 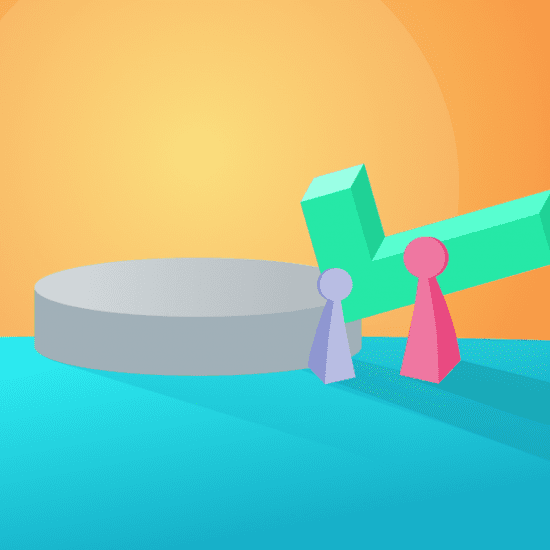 Once you’ve established a rapport, they pounce with the sale. It’s a lot harder to say no to someone who feels like your buddy! You can also use your own likability to make positive changes! When dealing with low self-esteem or depression, it’s easy to think you don’t deserve the care you need, which couldn’t be further from the truth. 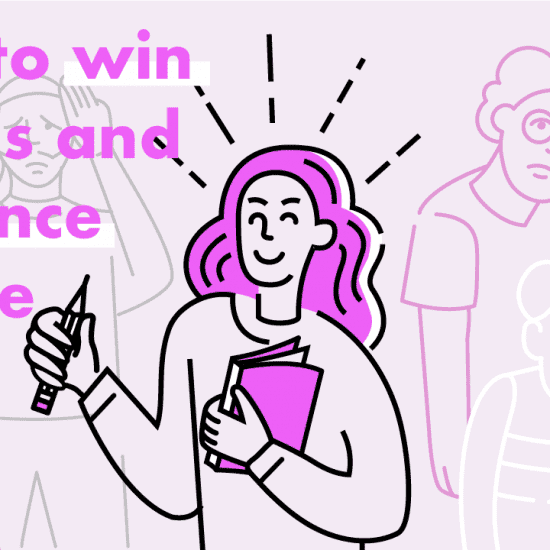 By treating yourself as someone you like, be it with positive affirmations or listing qualities you like about yourself in a journal, you’re more likely to exercise self-compassion when you need it most. One of the most famous psychological studies of obedience goes to Stanley Milgram’s 1963 experiment that involved testing participant’s willingness to obey an authority figure, even if it resulted in hurting another person. It turned out that people are willing to go to extreme lengths to comply with a presumed authority. If you accept someone as an authority figure—either by the way they’re dressed or the way they speak—you will most likely listen to and obey them. The reason for this is simple enough. You were raised to comply with authority figures. Disobeying authority figures like your parents was likely to have negative consequences. This sense of compliance expands to other authority figures, like police officers, but also to people you believe to be experts. In fact, you may even be reading this blog because you consider Fabulous an authority figure! 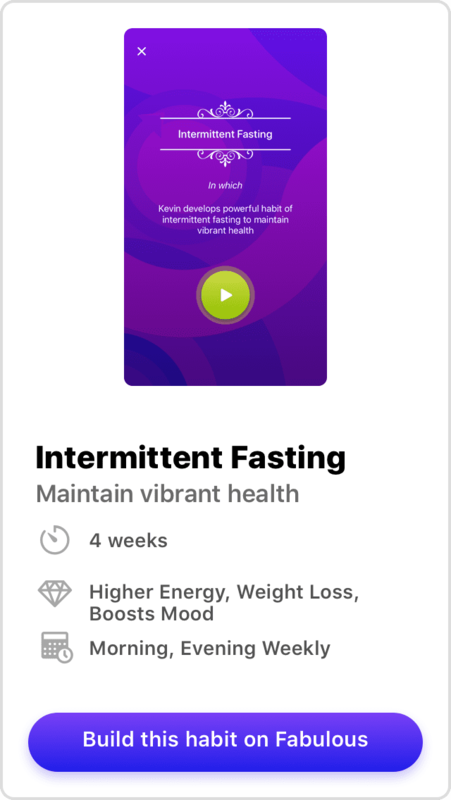 If that’s true, might we also authoritatively recommend you try our newest journey on Intermittent Fasting? For millennia, humans lived a life of scarcity. Resources like food and shelter were difficult to come by and even more difficult to protect from predators. Our world may be one of abundance now but thousands of years of conditioning has left us naturally anxious about missing out on an opportunity to gain something. You see this all the time in marketing. Every time you see a sign advertising “limited availability” or a “special one-time offer,” marketers are playing on your natural fear of scarcity. Once you’re worried about a potential loss, it doesn’t matter whether you need a new stand mixer or slippers with headlights. You’ll buy them just to have them. There is only one thing in our lives that’s truly scarce, though: Time. You can always buy another stand mixer, but you’ll never get back the time you waste wondering if you made the right choice. 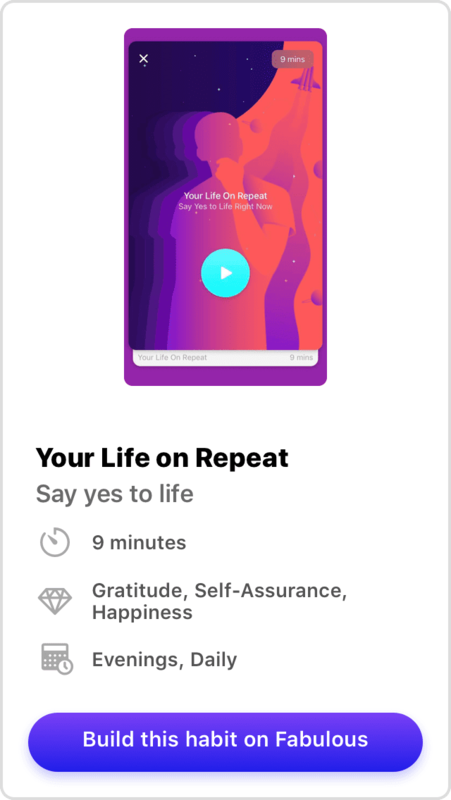 The next time you find yourself worrying about FOMO, ask yourself the same question Fabulous asks in the Your Life on Repeat meditation: If you had to repeat your life’s choices a thousand times over, would you want to?